In order to get the cables from the LBA area back to the RF-container, we have to work out the best routing. There were several options, but there necessarily needs to be a trade off between the direct route, dodging boulders and so forth. 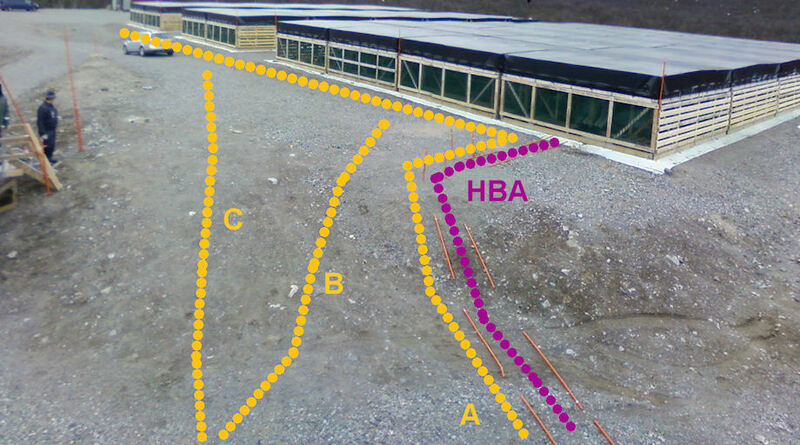 This adapted photograph shows some of the possible locations for the main ducting, based on some of these considerations. The possible routes are shown in amber. 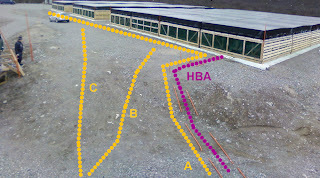 The purple shows the location of the existing HBA cables, which are now fully buried into the ground.